Last Saturday, my partner's friend came to our flat for the first time. 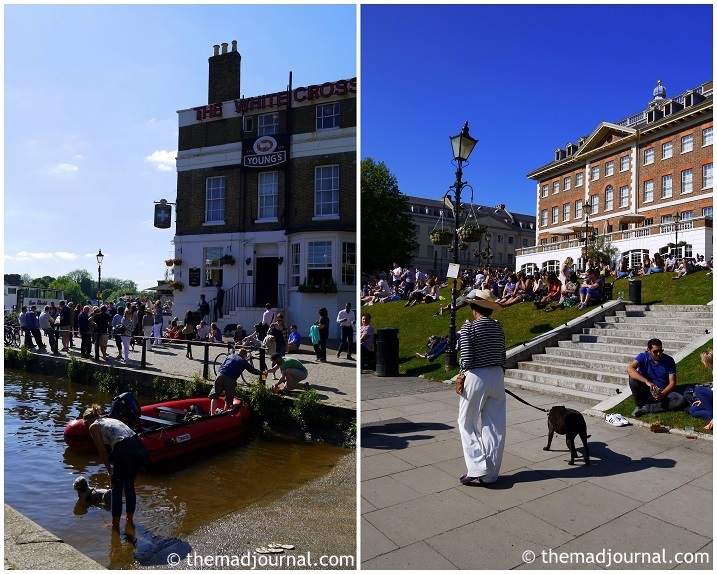 It was a very beautiful day so that we went to a pub in Richmond. People totally covered the riverside. I had a glass of Pimm's in the sunshine. But the wind was cold although it was sunny. I couldn't take off my knit cardigan. I wish Summer's coming soon! ↓ もう６月なのに、たまにヒーティング入れちゃうよ。 Click here for the rankings!